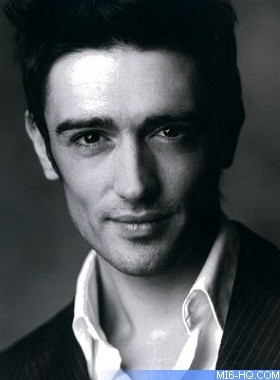 English actor Adam Croasdell will be the next voice of James Bond. Best known for his role as Dr. Al Jenkins in the BBC soap opera "EastEnders", Croasdell is the latest in a line of 007 videogame voice-over artists. Activision's new original game, which is not tied to a movie storyline, will be released early next year. Croasdell, 29, revealed in an interview with BBC Asian Network that he was thrilled to be offered the part because he is keen to keep his career varied. "I have just played James Bond in the new James Bond video game - how weird is that? I don't know what the future holds, but I'm always into varying up what comes my way, trying new things." He continued: "I think video games and the making of that type of technology, being in a funny one-piece suit and being shot with 60 cameras, I think that's sort of the future. Andy Serkis did it in The Hobbit, and there's a new film Avatar which is James Cameron - it's all that sort of motion capture." "I think it's the future, so I was fascinated to see how that would happen. I think in our lifetime it is going to swing very much into the realms of computerised environments and who knows, maybe there will be more of that." The second 007 licenced videogame from Activision will centre around racing and driving. The game was developed in parallel to Treyarch's "Quantum of Solace" at wholly owned studio Bizarre Creations. The group is best known for producing the successful Project Gotham Racing series. Back in February, Activision stated that the planned release of their second James Bond licenced videogame would be delayed from its original release schedule of September 2009 to early 2010. Activision reasoned that the title was shifted to avoid clashing with the launch of "Call of Duty: Modern Warfare 2". According to the company, sales of "Quantum of Solace: The Game" were negatively affected by launching alongside "Call of Duty: World at War" - both shooters using the same game engine technology. 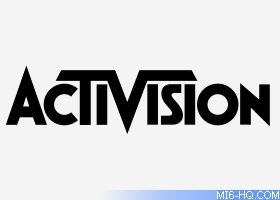 Mike Griffith, President and CEO of Activision Publishing, said: "We made a strategic decision to move our next James Bond release from late 2009 to 2010 to benefit from a better launch window and avoiding having to compete with the large holiday lineup and going head-to-head with Call of Duty, both of which negatively impacted the performance of this title this holiday. The movement will have an added benefit in staggering the completions of our racing title and the next Bond, both in development at Bizarre Creations. This will allow the studio to give each title the time and attention it deserves for finish and polish." Previous videogame licensee Electronic Arts flirted with different ways to use the James Bond licence, including the critically-slammed "Goldeneye: Rogue Agent" in 2004 where players took control of a villain. EA also tested out the driving genre with "007 Racing" in 2000, which was also met with poor reviews. MI6 can reveal that a sequel was in the pipeline but was canned mid-way through production.